Marleton Cross Limited (trading as the MX Group) was founded in 1974 by its current Chairman. Since then the company has continued to grow into a key manufacturer and supplier to the shower industry. MX manufactures shower trays in Tewkesbury in Gloucestershire. This 90,000 sq ft site also acts as the Head Quarters and transport centre for the company. The MX shower accessory division operates out of a 40,000 sq ft factory located at Ross on Wye in Herefordshire. The joint ventures with our manufacturing partners in China make MX the leading supplier in this market sector. Having invested in the latest machinery and materials MX is recognised as the leading manufacturer of shower trays in the U.K. producing many different types in hundreds of different shapes and sizes. This gives MX the capability to cater for the individual needs of any customer. MX continues to invest in new innovative ideas and the use of the latest materials, in designs, innovation and equipment, and will ensure it retains its competitive edge. 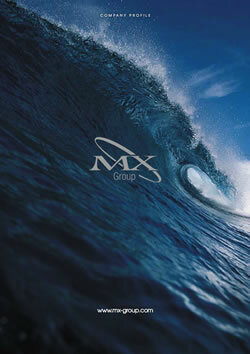 At the MX Group we see our people as our biggest asset. We employ circa 200 highly trained and experienced staff, many of whom have spent their entire career in shower and plumbing industry and fully understand the business they operate in. MX has been at the forefront of the sector for many years and also ensures that it’s products meet all the health and safety requirement and comply with all relevant British Standards and wherever possible uses WRAS approved and Phthalate free materials. MX Electric Showers are all BEAB approved and come complete with a full service backup. Recently MX has launched an ever growing range of Thermostatic Mixer Valves. These TMV2 and WRAS approved valves mean that MX has now become a very influential player within this market sector. MX is the largest producer of shower trays in the UK with a weekly output of some 6000 trays covering over 200 types and variations. A new venture for MX is the new shower enclosure market with the acquisition of the UK division of Flair International. This has expanded the portfolio of the MX offering in all aspects of showering.